Feeling Veggie Good: Just Ask Yourself One Question: Why? I had started a blog a couple of days ago but felt the urge to switch from writing that blog, to writing this one instead. A lot of people reading this know that I have made the transition and am now eating vegan. And a lot of people think that it's great. It's great that I have found something I enjoy doing and am passionate about. It's great that I'm spreading a positive message to the world, and it's inspiring to some people. I've even had a few compliments, which is very nice and considerate. I mean, everyone enjoys getting compliments. But instead of getting compliments, I want to see people actually watching some of the documentaries that I, and my mom, have recommended. I want to see people looking up information about being vegan. Instead of being told something like, "You're doing a great job here. Keep it up!" by someone who then goes out and gets a hamburger, I want to read a comment like, "I just watched Cowspiracy and I want to learn more. Thanks for the recommendation." I don't say any of this to be disrespectful, but I feel like writing these blogs is pointless if no one is going out there and taking action. Few people are watching any of the recommended documentaries. They're not researching anything. Instead, they're reading these blogs and taking them through one eye and out the other. Why? Why aren't you doing anything? Is it because you don't have access to any of the documentaries or the internet? Is it because you think you could never go vegan, or at least vegetarian? Is it because you're afraid to learn the truth, or because you think factory farming and animal agriculture isn't as bad as everyone says it is? 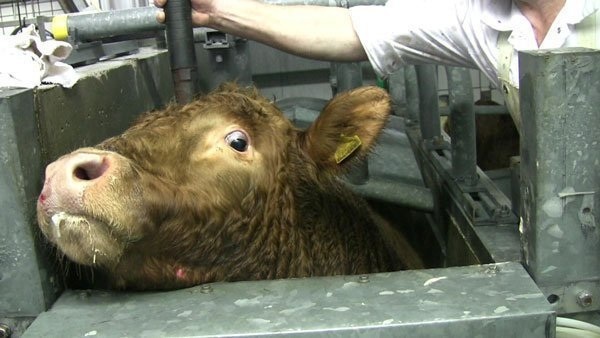 Are you afraid of what your friends and family might say if you looked some things up and decided to try being vegan or vegetarian? Or are you just too busy to put in the effort? I'd be lying if I said it wasn't hurtful and disappointing that few people have taken any of these blogs to heart. It's hurtful and frustrating when I try to make a difference by sharing my passion and those closest to me don't get it. I try to show and tell them the truth, but it doesn't sink in and they make up excuses about how it's okay. It's hurtful when they make sly jokes or comments about my convictions even though they know I'm serious about this lifestyle. It's obvious that they don't care or understand, and it's hurtful because I do care and understand and want them to care and understand too. I've done all I can do. I can't make anyone change. I'm happy being vegan and plan on remaining vegan for the rest of my life. I just have to enjoy my vegan lifestyle and let everyone else do their own thing. 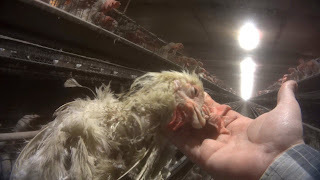 I'll keep writing blogs -- even though I've considered stopping -- because someone has to stand up and do something about the animal abuse and environmental devastation caused by animal agriculture. These factory farms and money making corporations cannot win. So why do this? Why contribute to animal abuse simply to satisfy our appetites? Please consider doing something. Anything. The planet is suffering, animals are suffering, and people are suffering.